In Andrew DeGraff’s book Cinemaps, readers can track Marty McFly’s geographical journey through three different versions of Hill Valley, California, but there’s another aspect of Marty’s travel that can’t be captured geographically: his travel through time. The possibilities of time travel have captured imaginations for generations, but despite the familiarity of the trope, many still find the rules of time travel stories confusing. If Marty can prevent his parents from ever falling in love, how did he exist to travel back in time in the first place? And if he never existed, who stopped his parents from falling in love? Further muddying the waters is the fact that the rules of Back to the Future differ from those of Interstellar or The Terminator, or countless other movies whose worlds render actions like Marty’s impossible. While time travel is (for now) purely the stuff of fiction, we tend to like when stories follow established rules and patterns. It makes the narrative easier to follow, and while there are certainly viewers who prefer more complex and cerebral stories, we still need the laws of the fictional universe to make sense within their own framework. Without clear rules, a time travel story can quickly go from fascinating and entertaining to a convoluted, muddled mess. To figure out what type of story you’re watching, all you have to do is answer one simple question: Can the characters change nothing, some things, or everything? *Some of us just have a lot of Bill and Ted questions, okay? In Harry Potter and the Prisoner of Azkaban, it is revealed toward the end of the story that Hermione has been using a Time Turner, a magical device that allows her to travel back in time and follow a different path than she did originally. The part where a lot of fans get confused is in thinking that Hermione – and later, Harry – actually changed anything. In fact, time travel in Harry Potter exists within a Single Continuum framework, in which events have only ever happened one way, and the only thing that changes is the character’s perception. 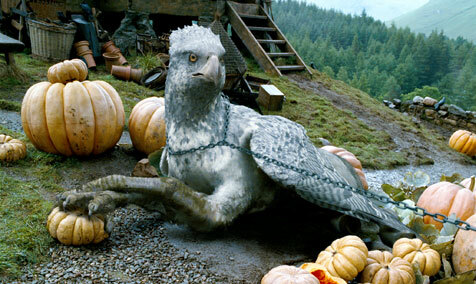 For example, when Hermione and Harry go back in time to save Buckbeak, who they previously thought had been executed, it turned out that what they thought was the sound of Buckbeak losing his head was actually just the executioner’s axe sinking into a tree stump after he discovered that Buckbeak was gone. There was never a reality in which Buckbeak died, because there was never a reality when Harry and Hermione weren’t there to save him. They didn’t change anything; they simply helped bring about the events that had already happened. While on the much sillier end of the time travel spectrum, Bill and Ted’s Excellent Adventure also exists within a Single Continuum. Despite kidnapping multiple influential people from history, most of whose contributions have helped shape culture and philosophy for centuries, Bill and Ted’s actions seem to have absolutely zero impact on their present reality. The only explanation for this is that there was never a reality in which Bill and Ted didn’t kidnap Socrates and Beethoven, and that their experiences in the future were always part of their stories. As further evidence, look at the police station scene, in which Bill and Ted repeatedly think up ways to get themselves out of trouble, which instantly come to pass, presumably because the future versions of themselves went back and set everything up. Everything in Bill and Ted is happening within a single timeline, where nothing the characters ever do is capable of pushing events onto a different track. Bill and Ted aside, stories which operate within a Single Continuum framework tend to be fairly cerebral, with the events in every time period coming together like puzzle pieces that only make sense once the audience can see the whole picture. Often, these stories tend to lean into themes of inevitability, with the audience’s sense of satisfaction and catharsis coming through finally understanding why the story has unfolded in the way it has, and how the character’s unusual perceptions of time have changed them as a person. The Time Traveler’s Wife, Arrival, and Interstellar all use manipulation of time as a device to assist their characters in exploring larger truths – appreciating the present, the value in experiences regardless of outcomes, the power of love to transcend time and space – that they wouldn’t necessarily have found in a linear story. This is the Fixed Points framework in a nutshell. Characters may be able to change small things, but the big events, the ones that have the biggest impact on the future, cannot be altered no matter what the characters do. However, although the Doctor is intimately familiar with the rules that govern his traveling through time, characters in other stories are not always so self-aware. The entire Terminator franchise operates within a Fixed Points framework, but that doesn’t stop John Connor from continually sending people back in time to try to prevent the rise of Skynet, or Skynet from sending killer robots back in time to kill John. Little do they realize that Skynet is a fixed point, as is John’s existence. The filmmakers actually rely on the audience recognizing this, even if the characters do not, and much of the tension of the franchise lies not in whether these events will come to pass, but how. Operating with in a Fixed Points framework often requires balancing themes of inevitability with themes of hope, which can be tricky. While it’s easy to get bogged down in the realization that some things cannot be changed, the hope comes in the smaller events that can. 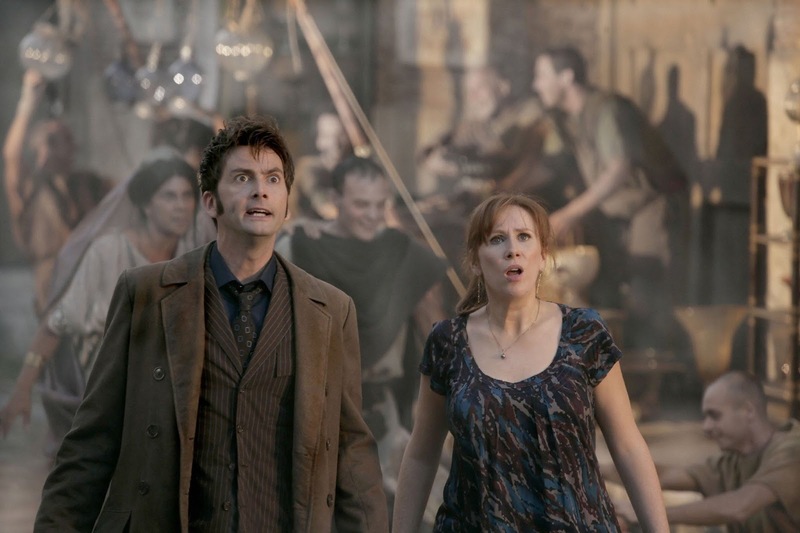 In ‘The Fires of Pompeii,” the Doctor and Donna cannot save the city, but they can save a single family. In Terminator 2: Judgement Day, although the audience suspects that the characters have not accomplished what they think they have by the end of the film, T-800 has fundamentally changed, learning to value human life. Through his evolution, the audience knows that even if the future remains unchanged, there is still hope for humanity. By far the most popular time travel framework to appear in fiction is that of Infinite Alternates. Time travel stories of all sorts use this structure, from Back to the Future to X-Men: Days of Future Past to Planet of the Apes. It’s easy to see why; in an Infinite Alternates framework, the plot is not constrained by any event having to take place in a certain way – or at all – and any action, no matter how seemingly insignificant, can potentially spin off an entirely new version of reality. Take, for example, the 2009 Star Trek reboot, which took established characters and flung them off in a brand new direction, thanks to a Romulan reset of the timeline that conveniently didn’t have to fit with the continuity of the original series. In the TV series The Flash, it seems that Barry Allen can’t manage to make it more than a few months without dashing into the past, making a change, and creating an alternate future. In both the 2000 film Frequency, and in 2012’s Looper, audiences got to watch environments and characters physically change before their eyes as the actions of the past had a real-time impact on the events of the present. And of course, in Back to the Future, Marty’s plan to use his knowledge of future sporting events to make himself rich winds up turning his present into a nightmarish hellscape. The possibilities within an Infinite Alternates framework are, well, infinite. Perhaps the most extreme of this approach to time travel storytelling is 2004’s The Butterfly Effect, in which a man’s efforts to improve the life of the girl he loves by changing the past have unintended, and increasingly horrific, consequences. No matter how good his intentions, his changes inevitably led to something he didn’t or couldn’t foresee, which then sent reality spiraling further and further away from the present he had hoped to bring about. There were no limits to how many alternate realities he could create, or how terrible they could be. There were no actions so small that they couldn’t change something big. Nothing was fixed, and everything was dangerously malleable. Infinite Alternates stories can be dark or light, bleak or hopeful, flashy or quiet. As the restraints on the possibilities of time travel loosen, so do the restraints on the types of stories that can be told. The most important thing to keep in mind when watching an Infinite Alternates story is that anything goes, and nothing – the world, major events, even the main character’s very existence – is set in stone.